PETER OLOFSSON, PHD, is currently a Visiting Associate Professor at Rice University. His research interests are in the field of stochastic processes, including the theory and biological applications of branching processes. He has published numerous articles in leading journals and has given seminars and conference lectures throughout the United States and Europe. Appendix B: Answers to Selected Problems. The book has been extensively class-tested many academic institutions throughout the world. The style of the book is mathematical – when appropriate -- with a rigorous calculus-based development of the theory; yet, intuitive understanding is stressed when applicable. Over 400 examples are interspersed throughout the book to underscore the intuitive understanding. They are carefully selected to illustrate the theory in an optimal fashion. 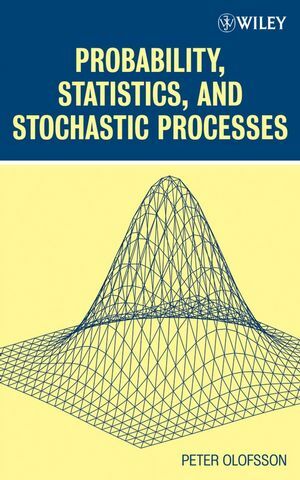 Additional emphasis is placed on stochastic simulation when and where applicable.